When I'm out and about in my RV, I tend to lose track of time. I mean, it's so relaxing. Just a quick step to a cool drink, comfortable seating, maybe even a nap. Time seems to flow like molasses. But in a good way! Of course, when the trip is done, it seems like it was but an eye-blink. When you're cooking it isn't such a great idea to lose track of time. You can produce some especially inedible foodstuffs that way. Burnt chunks that will only find their way into the trash. Kind of a waste really. I have a solution! 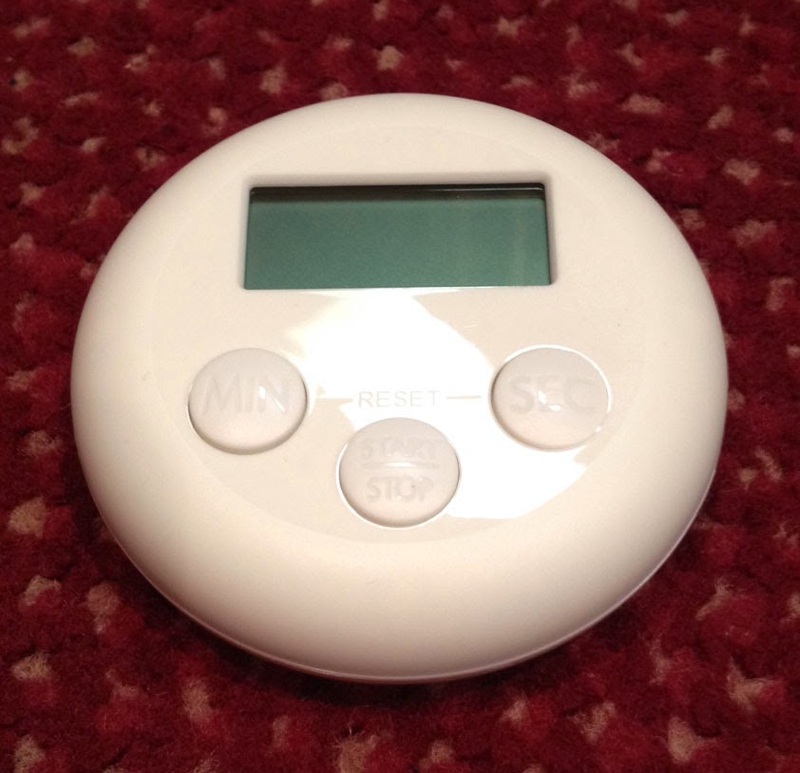 Buy a small minute timer. For years I've used a simple 3 minute egg-style timer that would suffice for most jobs. Then I used the timer on the front of my convection/microwave. These all worked well. But I wanted something with more versatility. So I could use it for other jobs. Say, like using a two part epoxy for a repair. You get the picture. I had a nice timer from my flight bag. (Back in the day, you would actually TIME your turns when flying in bad weather [IFR]) I just couldn't bring myself to take it out of my flight bag. I mean it's lived in there for YEARS. What I really wanted was an inexpensive solution that could live in my RV utensil drawer happily. During my twice yearly visit to IKEA I stumbled across a very inexpensive ($2.99) minute time. It runs on 1 AAA battery and has a LOUD chirp to let me know it's finished counting down. It's incredibly simple to use. Just three buttons. MIN(utes), SEC(onds) and START/STOP. It works exactly like you'd expect. Tap the minutes and seconds buttons to set a time you'd like to countdown, then tap start. There it goes! If you want to reset it, press both the minute and seconds buttons simultaneously. I love when things actually work just like they're supposed to. No extra frills on this gizmo. It does what it has to and I'm happy with that. As a side bonus, it matches my ivory interior color. I did add a piece of stick on Velcro to the back to let me adhere it to the wall (or ceiling!) That let's me keep it out of the way and be able to see it easily. I thought about adding a small strong magnet as well, but there really aren't that many places that it would stick to inside my RV. 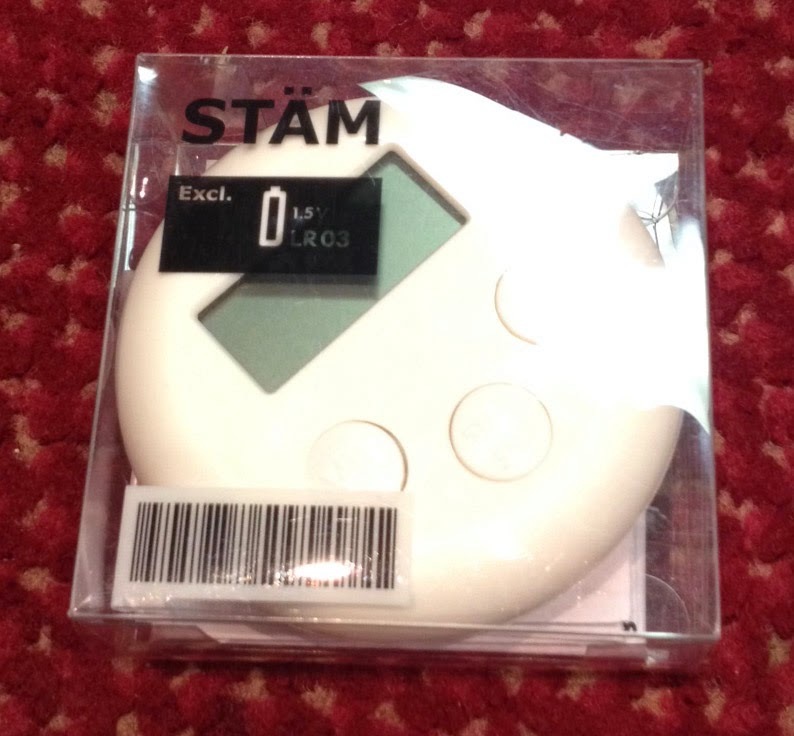 Now I have a simple, inexpensive timer that does just that...time! Baking will be much easier now! Not that I bake all that much, but you never know. Yup, probably very similar. I like the IKEA odd names, though! I had the same dilemma and could not bring myself to pull my old Westbend timer out of my flight bag. Many approaches with that old timer, Let see 3:56 seconds at 90kts. Finally picked up a new one at Wally World.